Find Murrells Inlet, SC Homes for sale. View Photos, Maps and MLS Data Now! Robin Hood - Schedule your showing today and experience this one of a kind home in Murrells Inlet! MLS#1909157. International Club - Close to Murrells Inlet - Marsh Walk - 10 minutes to the local beaches. Don’t miss this one! MLS#1909208. You don't want to miss the opportunity to call this "YOUR HOME"... MLS#1909214. Hunters Grove Prince Creek - Hunter's Grove is located close to Murrells Inlet restaurants, beautiful beaches, shopping, schools, golf courses and just a short drive to the Myrtle Beach airport. MLS#1909168. Prince Creek Linksbrook - Make sure to put this on your list of homes to view with your Realtor today! MLS#1909174. 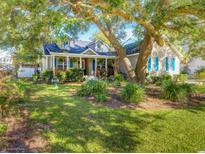 Creekside Cottages - Start living the #InletLife today at 7 Cottage Drive, Murrells Inlet SC 29576 MLS#1909125. Call for details. Sellers are SC realtors. MLS#1909106. Prince Creek Collins Creek - Schedule your showing today this home will not last long at this price. MLS#1909036. Prince Creek Highwood - This Model Can Also Be Built As A 2 Car Garage. Pool Is An Upgrade. MLS#1909038. It’s also close to boat access at Oyster Shell Landing, fabulous BrookGreen Gardens, and dining at the Marsh Walk of Murrells Inlet. MLS#1909011. Prince Creek West Creekhaven - Plus the amenities have a large pool, tennis courts, & playground. MLS#1908976. Measurements and square footage are approximate and not guaranteed. Buyer is responsible for verification. MLS#1909052. Buyer is responsible for all verification. MLS#1908972. Come see why Heron Lake has been so desirable for our owners! MLS#1908961. Only 46 total homes will be built in Heron Lake, and many homes will have stunning lake views! ! MLS#1908963. Prince Creek Collins Creek - Must see! MLS#1908872. Johnson Estates - All new LED whole house lighting, new garbage disposal owners spared no details or expense. MLS#1908934. Collins Glenn - All of this and you are a short drive to the coveted Murrells Inlet Marsh Walk and several world class beaches. MLS#1908883. And, of course, our beautiful Grand Strand area beaches are just moments away as well! MLS#1908911. Mt Gilead - Contact the listing agent, or your Realtor, for more information or to arrange a private showing. MLS#1908800. Square footage is approximate and not guaranteed. Buyer is responsible for verification. MLS#1908864. Prince Creek Linksbrook - Enjoy a very active lifestyle with a variety of planned events, clubhouse with library, pool table and card tables, kitchen, large fitness center, walk-in pool and hot tub, tennis, and picnic area . Immaculate one owner home! MLS#1908772. 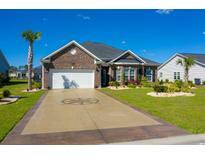 Prince Creek Linksbrook - Close to the Murrells Inlet Marshwalk, golf, shopping, and dining. MLS#1908853. Measurements and square footage are approximate and not guaranteed. Buyer is responsible for verification. MLS#1908863. Call your agent today for more information. MLS#1908851.